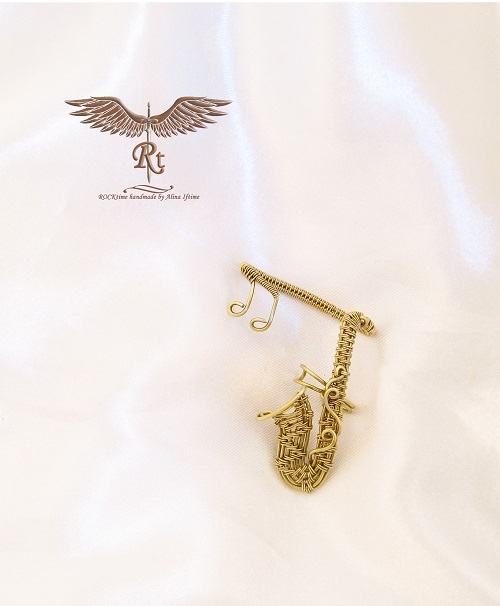 There are many jewelry designers who do beautiful work. But only a few excel at creating amazing work which stands out above the crowd. 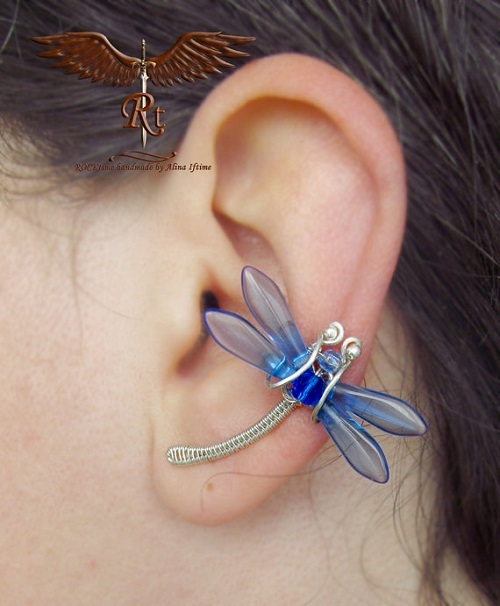 Romanian artist, Alina, of Rocktime on Etsy, excels at wire wrapped ear cuff artistry! 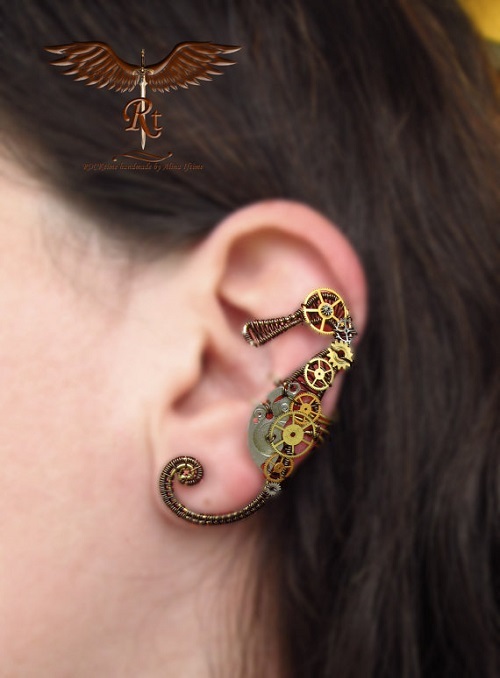 It is an incredible niche as she makes wire work creations which delight not only people who appreciate her skills but draws in people who like nature, steampunk and fantasy. Alina is a work at home mother. Making jewelry is clearly her passion as she said,"I will never make jewelry only for money." Every piece has "has a bit of my soul inside it." 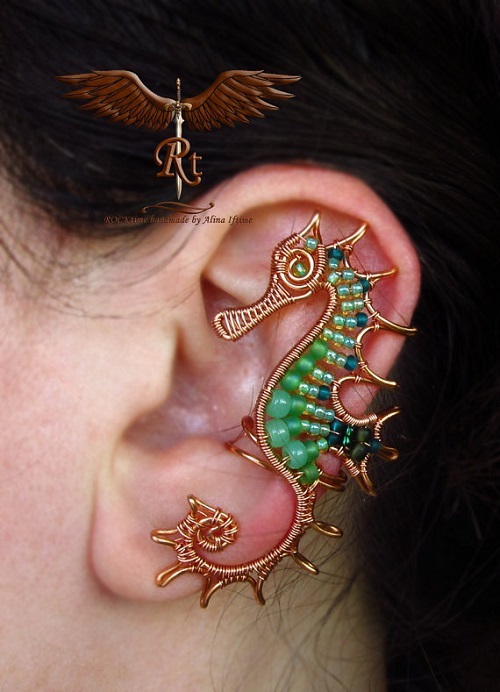 Her wire wrapped animals are outstanding not just as a design but also because the functional parts of an ear cuff are integrated into the designs. My favorites were her sea horses and dragons. 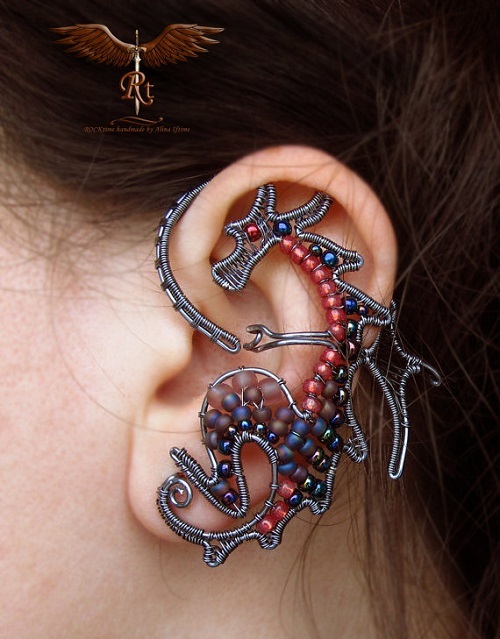 Her talent for being able to translate a subject into a wonderful ear cuff is evident - the saxophone and tribal designs are examples. 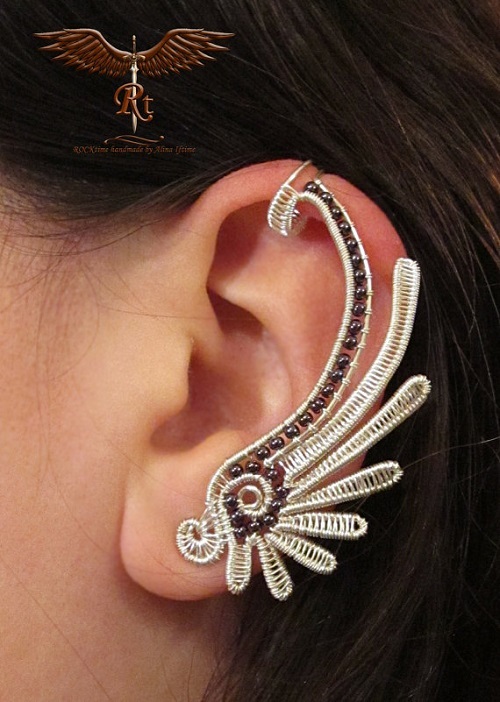 I also loved how she sometimes paired an ear cuff with a simpler, smaller complimentary design for the other ear. Alina accepts custom orders although as all wire work designers will attest, it is impossible to make an exact duplicate. As she puts it herself, "Each creation is an experience, a feeling, each time a different one, unique, unrepeatable." I checked out her store and was so disappointed to not find the owl but only 12 items at present. Do you know if the discount has a time limit on it? 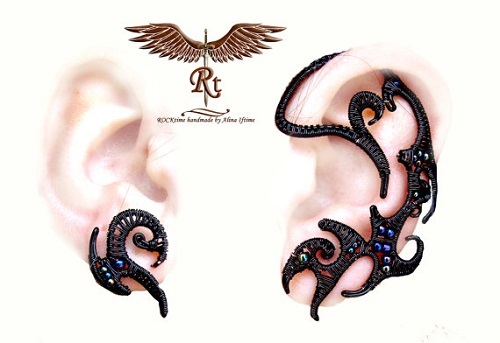 I used to wear ear cuffs all the time. I think they make quite the statement. Contact Alina. 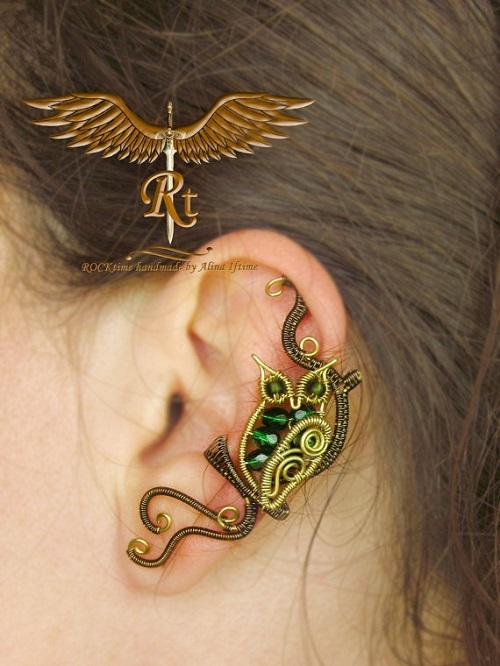 She will probably be glad to make you an owl one even though one is not in the shop right now. The owl is there again, I was quite busy these days and I didn't renew the listing on time, sorry for that :) The discount has no time limit, you may use it whenever you like. Thank you so much for this wonderful post!